There’s something about embarking on warmer weather that puts me in the mood to add some color to my looks. I seem to always feel happy and in a great mood when colors are involved. Summer is right around the corner and I’m ready to put some vibrant colors on display with my wardrobe. 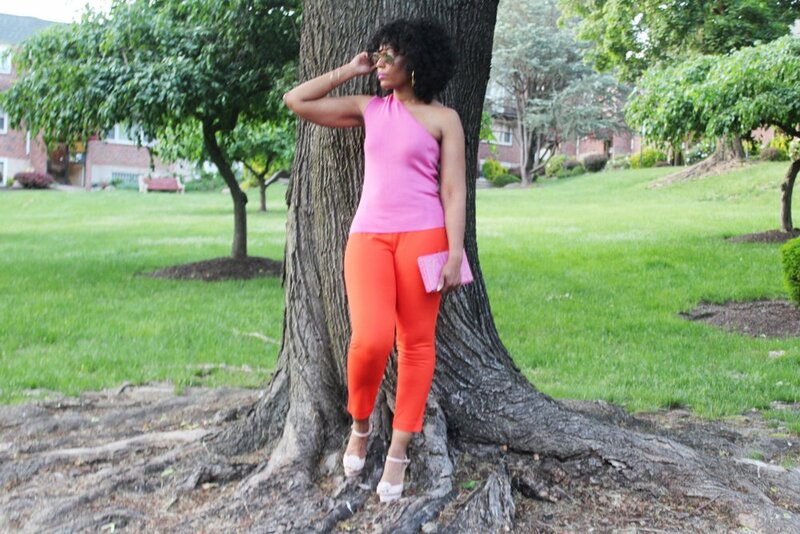 Pink by far is my favorite color, so there was no way I wouldn’t be incorporating it in my look. The second color I decided on was orange, I think both colors compliment each other quite well and thought they would be a perfect color combination. When it comes to color whether bright, more monochromatic or somewhere in between, what you choose is all about your own unique personal style. 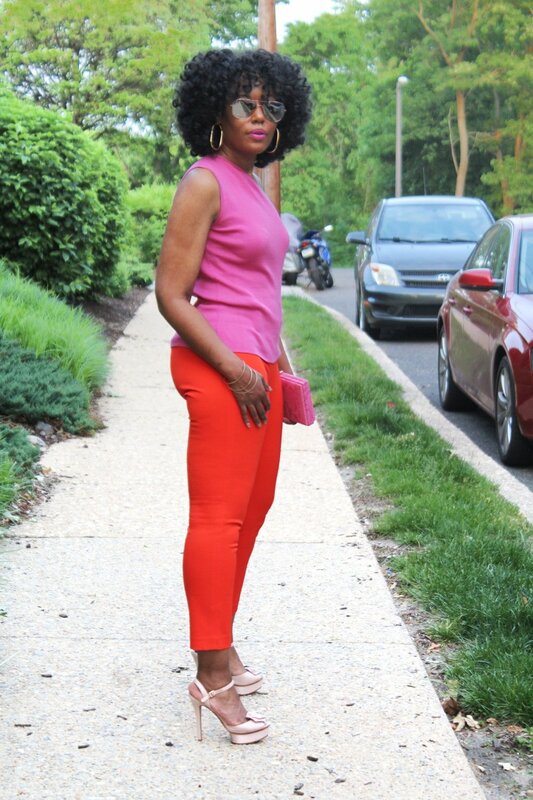 This lightweight one shoulder baring sweater was an old purchase that I decided to pair with these cropped pants I got from J. Crew, which I’ve had for awhile and never wore until now. The sandals have a more light pink color with a simple rose detail on the top that I wore to a wedding and have not had them on since. So the moral of the story is things can all work together for the good of a great outfit when you shop what’s already in your closet. I love that the colors just seem to pop and look so nice with my skin tone. This is a great look for daytime events or a nighttime get together with your girlfriend's for drinks. Because both pieces are what I believe to be accent colors you can also break them up with some neutral colors as well to create more looks and have the color be the focal point of your look. Color is our friend so don’t be afraid to add some to your wardrobe and mix it up a bit even if it’s just one or two pieces. Tell me how do you feel about adding color to your wardrobe and what colors do you love?